The Minister for Communication, Energy and Natural Resources, Pat Rabbitte, T.D., is expected to block RTÉ's plans to move their RTÉjr strand from RTÉ Two according to The Sunday Times. A report into the planned move was announced in April 2013 when TV3 objected to the move. The BAI submitted this report to the Minister in July 2013, in November 2013 in the Dail Minister Rabbitte said he expected to be able to make a decision shortly, he restated in the Dail that he would make a decision shortly in Feburary 2014. The Broadcasting Authority Of Ireland stated that they were unaware of the move during the recent Five-year Review of Public funding, however the review took place during 2013 and was published some months after RTÉ's request. 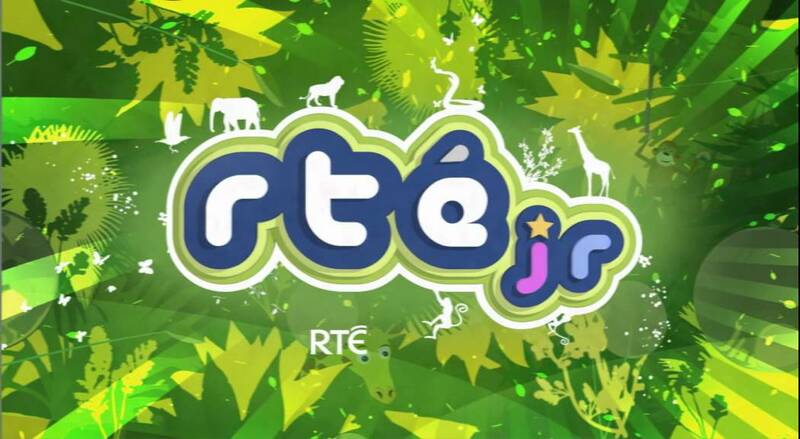 RTÉjr took over from Den Tots on RTÉ TWO in 2010. Currently the strand airs at 06:30 to 07:00, again from 09:00 to 14:00 on RTÉ TWO. In November 2010 RTÉ proposed a set of new services for Saorview. Those services included RTÉjr along with RTÉ ONE +1, RTÉ NEWS NOW, RTE TWO HD and RTÉ Digital Aertel. In February 2011 Minister Pat Carey made a decision on these plans based on public consultations carried out by the Department of Communications and two reports into the planned channels by the BAI. Before any decision was made the details of the proposals where made public. In the case of the move of RTÉjr from RTÉ TWO details of the proposal were not made public at any stage during the decision making process. In the mid-1990s RTÉ's Authority asked that the RTÉ executive look at advertising on children's programming. Since that review RTÉ have never placed advertising on programmes aimed at the Under 6s. Minister Carey agreed with RTÉ's proposal where RTÉjr would not run advertising on the new channel. The minister and the BAI cannot prevent a change where RTÉ begin to air advertising on programming for the Under 6s on RTÉ TWO, however it is highly unlikely that RTÉ would make such a move. Den Tots began on RTÉ TWO in 1998 as part of The Den strand of programming, prior to this RTÉ TWO aired repeats of US programmes during its daytime hours. The international experience of separate children's channels has been the move of children's programming from their parent channels. The BBC moved its children's programming from BBC ONE and TWO between December 2012 and January 2013, just 3 months after Analogue Switch Off (ASO) in Northern Ireland, which had been arranged around ASO in the republic. In Australia ABC moved their children's programming to ABC4Kids from ABC ONE in January 2014, just 3 months after Australia’s ASO. In Britain the creator of Teletubbies (Anne Wood) accused the BBC of "ghettoising children's programmes" when it made the decision to move Children's programming from BBC ONE and TWO, however she also told the Radio Times the move was "inevitable". This ghettoisation of children's programming in Ireland began in the late 1980s with the move of children's programming to Network 2 and the dedicated 12 hours of TV given to children's programming on the channel since 1998. RTÉ ONE has not aired children's programming since 1998. TV3 argued that RTÉ TWO would see an increase in advertising revenue of some €500,000. They feel that it would impact on TV3 revenues. TV3 have similarly called on the BAI not to issue a licence to UTV who will enter the Irish market in 2015. The BAI in their recent press release were clear to point out the differences between TV3 and the new UTV service. The new UTV service will not pay the same levy that UTV Radio and other broadcasters pay to the BAI. TV3 have been given the opportunity to provide new services on Saorview such as TV3+1, TV3 Classics (an archive channel) and TV3 KIDS (a channel aimed the 7 to 12 age group), however according to the Oliver & Ohlbaum report into Digital Terrestrial Television "TV3 appears not to have an appetite for distributing additional channels on the platform so we assume no new offerings from the group on DTT (Saorview)". TV3 have not aired children's programming since 1999 when they axed their only children's strand Gimme 3, hosted by Hector O'hEochagain.